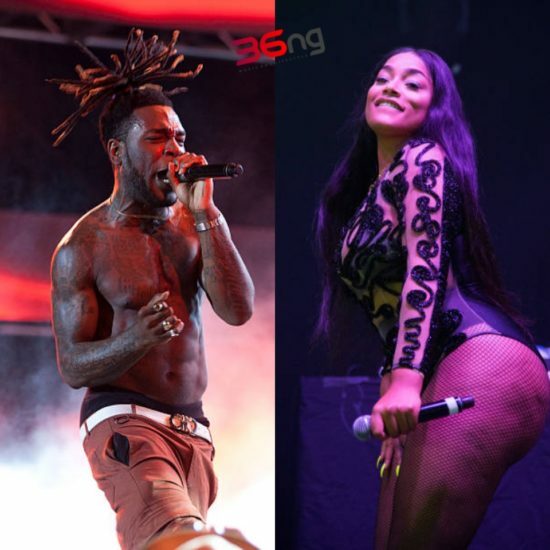 Burna Boy Dating UK Rapper, Stefflon Don – Burna Boy & Stefflon Don are the fresh gossip as it is believed they are having a love affairs!. Burna Boy’s Insta-story release this fresh development as he shared a clip of him been without a shirt & British rapper, Stefflon Don having a nap while her head was solidly on his chest. Burna Boy connect the clip with adoration emoji’s so that’s point that is the ‘koko’! After the clip came out, a music pundit on Twitter, Isima Odeh remembered back then when 27-year-old Stefflon Don uncovered she is in love & having an affairs with a Nigerian however didn’t make reference to any name then, but boom! It’s Burna Boy!.